Did you know that you can print pictures without loading them onto a computer? 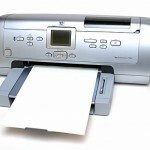 If you have a printer that offers a PictBridge connection, your printer will be able to read and print pictures straight from your digital camera. PictBridge has become an industry standard since it was first introduced in 2003 by the CIPA (Camera & Imaging Products Association). Which Paper Path is Best For Me? Posted Wednesday, June 15th, 2011 by Steve Leigh. When searching for a printer, there are obvious considerations such as speed, color capabilities, and wireless support, but there are also less-obvious aspects that can affect the quality of your final output. One of these aspects is the type of paper path used by the printer. The three main types of paper paths are U-shaped, L-shaped, and straight-through paths. When deciding between the different path types, there are a few factors to consider, as each has its advantages and disadvantages, and some printers even offer multiple paths within a single device, making the choice easier. Posted Wednesday, June 15th, 2011 by Greg Gladman. 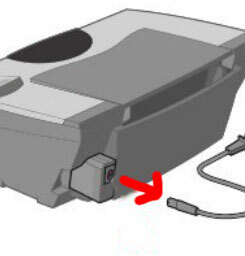 If you are using a Mac and are trying to connect to your wireless Canon PIXMA MP620, you may be having trouble getting the devices to communicate. You may have even tried the steps outlined in Setting Up Wireless Printers without any luck. 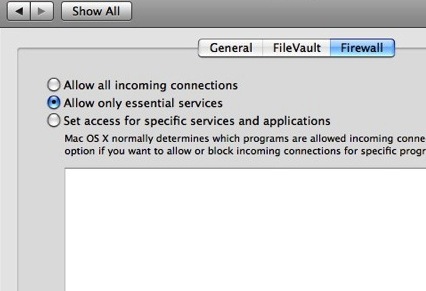 This is a somewhat rare issue, but it has to do with the default Mac firewall running on your computer. By following a few troubleshooting steps, you should be able to resolve the problem and still use the firewall. Click the Apple icon in the upper left hand corner of the screen, then choose System Preferences. You can also click the System Preferences icon in the dock, if you prefer. Click the button that reads Show All. This helps you see all of the options listed. Now click Security or Security & Privacy. Click the Firewall tab. If the buttons are grayed out, you need to click the Lock icon in the lower left of the window, then enter your user password to make changes. Choose Allow All Incoming Connections. This will temporarily allow your computer and printer to see each other, but turning off the firewall completely makes the computer somewhat vulnerable, so don’t leave this setting on long-term. Click the left arrow button at the top left to go back to the System Preferences page. 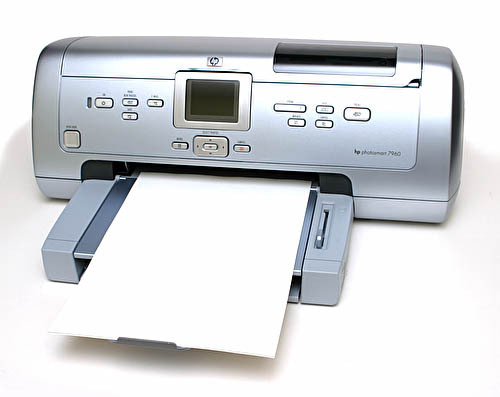 Click Hardware, then click the Print and Fax or Print and Scan option. There should be a list of printers on the left side of the screen. If your printer series “MP620” is listed, delete it from the options. Now put your Canon installation CD that came with the printer to reinstall the printer onto your computer. If you can no longer locate the installation CD, go to Canon’s website to download the driver there. Posted Tuesday, June 7th, 2011 by Greg Gladman. 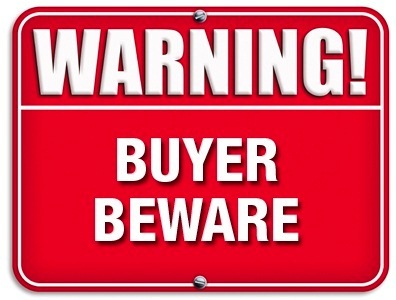 Printer manufacturers occasionally issue firmware updates that are typically publicly available via the company website. These updates typically provide the ability to load new and improved features to your dated machine. Firmware updates can also fix problems with existing functions and expand compatibility for software and OS upgrades. Not All Firmware Upgrades Are Created Equal. If you have a Lexmark 3300 series printer, you receive errors as numbered Lexmark error codes, due to the smaller screen. Error code 1203 is common enough that is worth spending a little extra time on, and it is often fairly easy to resolve. Generally you will see this error because miscommunication has occurred between a cartridge and the machine itself. You may also see this error if there is an electrical failure in a printhead. Posted Thursday, June 2nd, 2011 by Greg Gladman. 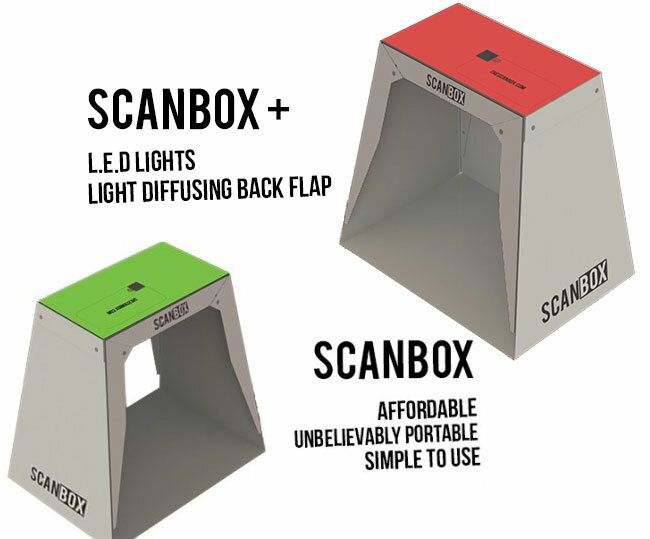 The Scanbox is an innovative, portable solution for scanning documents of all kinds using the camera on your smartphone. Made of laminated cards and magnetic buttons, this box can be constructed in seconds and will fold down flat so it can fit in a bag. For occasional photo or document scanning needs, the days of having an expensive, bulky scanner, such as the Epson WorkForce 845, on your desk are over. 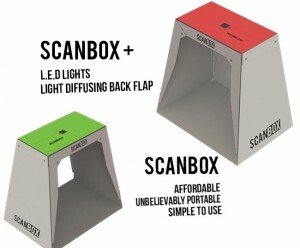 The Scanbox can be used for scanning photos as well as 3D objects, but it also can serve as a projection screen and an organizational tool by allowing you to digitize receipts. The section designated for the document or object being scanned is big enough to fit a letter-size piece of paper. The two sides of the box not only prevent shadows and outside lights from negatively affecting the scanned image, but those sides also optimize facial recognition when scanning pictures. 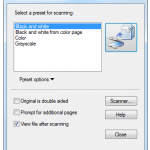 If you have a Canon copier, downloading the Canon ScanGear Tool will turn your single-purpose copy machine into a dual-purpose copier/scanner. This software allows you to maximize the functionality of your equipment in a free and intuitive way. 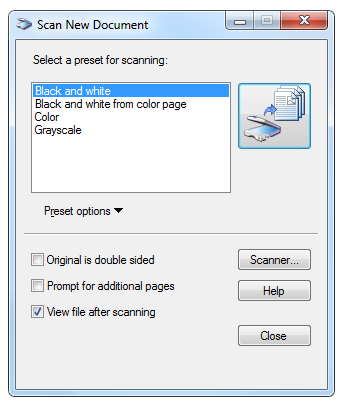 Download the ScanGear tool from the Canon website. Version 2.21 for monochrome copiers. Version 2.71 (or higher) for color copiers. Run the downloaded EXE, which can be accessed in the TEMP folder. Launch the file and follow the prompts to install ScanGear. The IP address of your copier will be needed for the launch the ScanGear tool. Make sure the connection is established by selecting ‘Test Connection’. search for the ScanGear software. box (typically, black and white or color).